There are many harmonised solutions that together make up the ‘Vienna Model’ for a social housing programme. The programme is also subject to continuous development and adaptation to changing structural societal conditions. 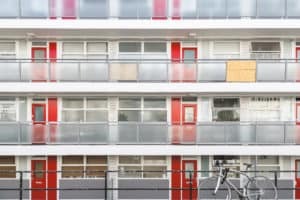 This is because a supportive housing programme, as is in place in Vienna, pushes in the direction of an integrated city or rather its neighbourhood development, ensures efficiency, sustainability and intensifies social but also technological innovations. Beyond that, continuity also plays an essential role. Public housing can look back at a history of nearly a hundred years. Vienna’s total of 220,000 subsidised council flats dates back to the ‘Red Vienna’ when the former Socialist Government created the first housing programmes. Nowadays, the council flats are spread across the entire city. Sixty percent of the Viennese population now lives in either a subsidised or council flat. In addition to the communal flats, Vienna’s inventory includes another 200,000 housing units from charitable housing associations, which are permanently tied to social housing. Proactive housing policies are primarily a political commitment. The Viennese housing programme aims to increase the segment of affordable flats continuously. In the past years, approximately €300 million was used to create around 7,000 new housing units. Social housing in Vienna is aimed at the middle class to provide the best possible social mix. This approach has enabled Vienna to avoid socially fragile neighbourhoods. Vienna has also adapted its housing programme to the changing economic conditions, which started with the last global financial crisis in 2008. 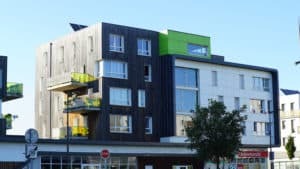 The SMART housing programme ensures that at least a third of all promoted new housing projects created are affordable flats with a maximum of €60/m2 equity contribution and €7.50/m2 gross rent. The city buys land at an early stage as space for affordable housing is needed. Currently, the city owns more than 200 hectares [approx. 494,00 acres] of land reserves. Vienna has also adapted its housing programme to the changing economic conditions, which started with the last global financial crisis in 2008. 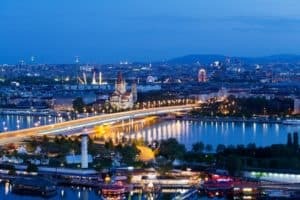 The City of Vienna uses approximately €650 million each year for housing subsidies, which are invested in new housing, redevelopment and housing allowances. A substantial part of these funds is paid out as loans to ensure their sustainable use, especially in the promotion of new housing. Furthermore, the returns secure the future financing of housing developments. Additionally, as a federal state, the City of Vienna receives annual federal funding of approximately €150 million. Tools such as housing policies are of key importance for achieving a high standard of life and social harmony. If they are missing, this puts cities at risk of experiencing deepening social inequality and situations of crisis. Even though nearly a century of social housing in Vienna has led to thriving structures, the City still faces numerous challenges. Population growth, increasing prices for land and construction, as well as stagnant or declining real incomes lead to increasingly challenging framework conditions. Vienna’s answer to this is a range of measures that make construction more affordable and quicker but also increase the construction rate in the medium term. In the framework of the International Building Exhibition – IBA_Wien – experts, in conjunction with the public, will develop answers to the questions concerning Neues Soziales Wohnen [New social living arrangements]. It will cover the area of new construction as well as redevelopment. The International Building Exhibition – the presentation years are 2020 and 2022 – not only serves to increase Vienna’s leading international role further but shall also help to establish the City as the European centre of excellence for social housing.